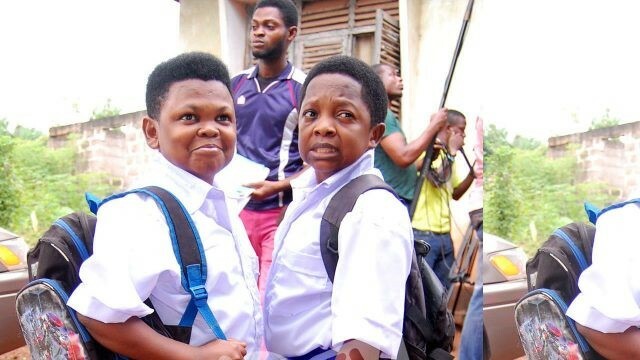 Nigeria’s celebrated movie legends Chinedu Ikedieze and Osita Ihema are slated to thrill Rwandans on Valentine’s Day as they launch a project connecting local film makers and Nigerian cinema. The duo will be in Rwanda on 11th February up to 18th doing business with local film makers and touring the best of a thousand hills country. The duo are famous across Africa. They played side by side ever since their break through movies dubbed Aki Na Ukwa and Baby Police. Speaking to KT Press, Belinda Murerwa a representative of Kigali Entertainment promoters which invited them in Kigali confirmed the news. “It’s true they are coming for a business trip in Rwanda to launch a major campaign which includes a movie studio which will help local movie makers connect with their Nigerian counterparts,” says Belinda on Wednesday. Kigali Entertainment Promoters is popular for bringing in Nigerian superstars in Rwanda like 2Face Idibia. On Valentine’s Day their fans in Rwanda will have to part away with Rwf 5000, 10000 and Rwf 200,000 a table for enjoying the night with the superstars at Camp Kigali. Chinedu Ikedieze, MFR (born 12 December 1977 in Bende, Abia State, Nigeria) is a Nigerian actor. He is best known for playing alongside Osita Iheme in most movies after their breakthrough in the movie Aki na Ukwa. He once told the media back in Nigeria that he likes it when people refers to him as short because that’s how he was created and even his wife loves him for that. Osita Iheme is widely known for playing the role of Paw Paw in the film Aki Ukwa alongside Chinedu and has often been described as one of the best actors of his generation. Both stars have accumulated wealth through their career as well as connection across the globe.